The LTS Help Desk serves as the primary point of contact for LTS. 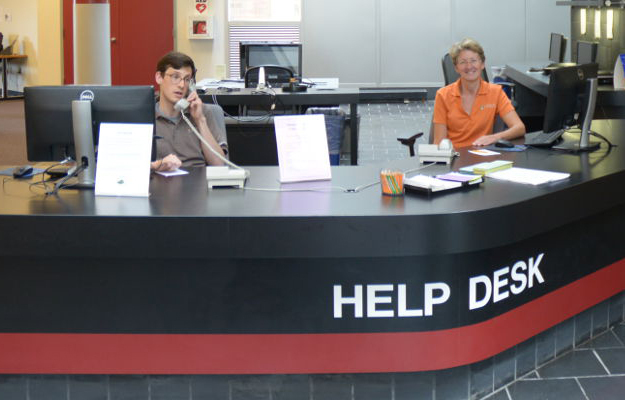 The purpose of the Help Desk is to provide the Lehigh community and non-affiliates with timely walkup, phone,email, and online assistance and referral when appropriate. We field questions about all aspects of LTS and about Lehigh when possible. We respond to simple questions and complex questions; when appropriate we refer questions. We help clients navigate the LTS and campus services, making calls and getting information on their behalf. We track emerging trends and issues; identify service gaps and try to resolve them; we communicate with other campus units to coordinate services better. The Help Desk also utilizes a student staff to assist at service points. Learn more about working on our staff of Help Desk Student Consultants.